OR measure your wrist and select Custom size. Add a note at check out with your measurements. 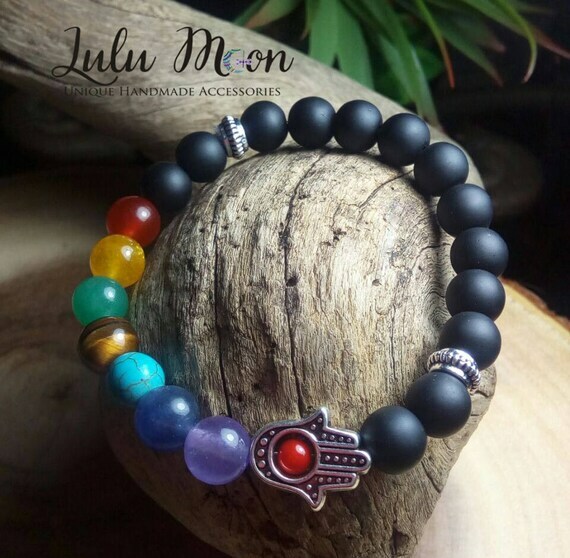 -->Hamsa Hand: Represents protection against the envious and evil eye. Precautions – Handle with care. It is best to put accessories on after perfume, makeup, lotion or any other product has been applied. These substances may cause discoloration, staining, and other damages to accessories. Remove before shower or any water activity. Avoid use of accessories during outdoor and physical activity. Some materials may fade in color after some time, depending on the use and storage. Do not sleep with any accessories on. Items ship 1-5 days Monday-Friday, usually within 2 days after purchased. Weekends and holidays may delay the process. 2-4 business days for delivery.